Blue chickens? Yes! and they are not dyed. The Blue Hen is the Delaware state bird and you will be surprised to find out why! 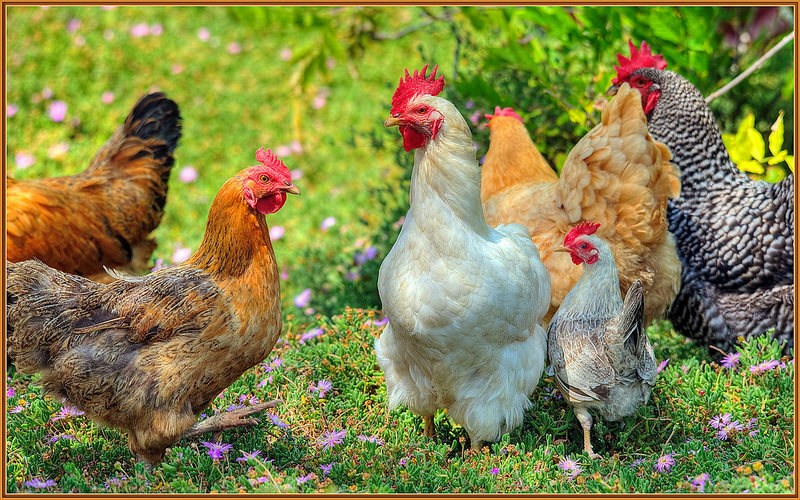 Watch Our Featured Video: Blue Hen Farm Facts. Blue Hen Farm Facts. (2019) See video below. The Blue Hen Chicken was nominated to be the state bird of Delaware as was the red cardinal. Even though the arguments for the red cardinal were persuasive-the Blue Hen won and is now the State Bird of Delaware. The Blue Delaware is also the school mascot for the University of Delaware. Interestingly, the Blue Hen is not recognized as an official breed, in fact, the Blue Delaware breed is actually a cross breed derived from the Blue Andalusian chicken breed from Spain. There are many rumors passed down through history about this unique chicken breed. Historically, the Delaware Blue chicken breed was known for it's fierce fighting capabilities during the revolutionary war as Captain Caldwell is said to have carried them into battle and that the soldiers staged fights between blue hens. Blue Hen Chicken," the Delaware state bird, is rumored that during the Revolutionary War the battling ferocity and fearlessness of Delaware soldiers in battle was associated with the Kent County Blue Hen Chickens owned and bred by Captain Jonathan Caldwell. The courage and intensity demonstrated by the Delaware soldiers caused them to be referred to alternately as fighting "gamecocks" and as the "Blue Hen's Chickens (1), Captain Caldwell is rumored to have brought two birds onto the battlefields with him and the soldiers under Captain Caldwell's command became known as "Sons of the Blue Hen" in 1775. The Blue hens today are most likely not from the original Kent County Delaware Blue stock, however, Mediteranian Blue hens of today resemble the original breed more than the English gamecocks (3). "How much do you know about the First State’s official bird? As we get ready for #UDAgDay2016 Saturday, April 30, 2016, here are some facts about the Fightin’ Blue Hen".--University of Delaware (1).